Make the Most of Your Dental Insurance Benefits: There’s Still Time! November is upon us, and with it come the inevitable preparations for holiday gatherings and family traditions we all know and love. As 2014 quickly comes to a close, chances are that you have plenty on your mind aside from your dental insurance benefits. While it is true that visiting the dentist probably isn’t at the top of your list of things to do as you get ready for the holidays, you might be surprised as to why it should be. At D’Amico & Mauck, DDS in Aurora, CO, Dr. Matt Mauck and Dr. Nicholas D’Amico would like to take a moment to talk about the importance of utilizing your dental benefits before the end of the year. If you are anything like the majority of working American adults, it’s likely that a portion of your weekly, bi-weekly, or monthly pay goes toward a premium for a dental benefits policy. No one likes to pay for a service they’ll never get to use, and your dental benefits aren’t any different. Did you know that thousands of men and women who pay into a dental benefits plan never actually utilize any of their benefits? Make sure that you’re getting the most for your hard-earned money this year and visit Drs. D’Amico and Mauck before December 31st. This is the date on which most dental insurance plans reset, rendering any unused benefits forfeited; they don’t roll over at the end of the year. 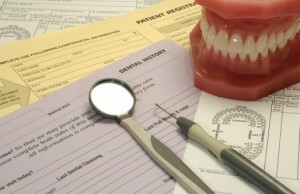 When it comes to dental benefits, if you don’t use it, you lose it! We can help you get the care you need and deserve, making it easier to put every penny of the premiums you’ve paid to great use. Whether you are overdue for a six month checkup or you have important questions about your dental insurance benefits, our team is here to help in every way we can. In fact, our experienced financial coordinator will even file your claims for you so that you can rest assured that all paperwork is taken care of properly. Contact our office today to schedule your visit with Dr. D’Amico and Dr. Mauck. We genuinely look forward to helping you reveal your healthiest, most attractive smile just in time for the holidays. Our state-of-the-art dental practice in Aurora, CO warmly welcomes families from Aurora, Denver, Parker, Englewood, Centennial, Denver Tech Center, and more. Comments Off on Make the Most of Your Dental Insurance Benefits: There’s Still Time!